As an opponent to the games section of Google Play Store, Reliance Communications has launched Games Arcade App, a digital store dedicated exclusively to Android games. The store is powered by Opera apps. From the store, Reliance customers can access premium and popular Android games at affordable rates of Rs. 10-15. The users can download the games unrestrictedly during the validity period without any limit to download. The games are full versions and are ad-free. They include in-app purchases. Using the advanced option, users can view daily featured games, most downloaded games, etc. More importantly, the payment can be done using the mobile balance or will be added to the postpaid bill. 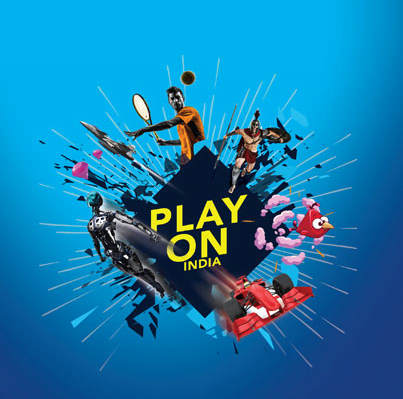 In India, it is estimated that around 40-50 million Indians playing games on their smartphones and feature phones, according to the Indian Games Market Review by Nasscom. The mobile gaming industry is expected to grow by 40-50% annually. “The Indian smartphone market is primarily being propelled by youth under the age of 25 years, which comprises 63% gamers. Opera Apps Club is at the forefront of bringing consumers closer to their passions, and our partnership with Reliance for the Reliance Games Arcade is a step towards that. We are confident gamers will enjoy the experience and the adrenaline rush it offers,” says Peter Panait Løjmand, Senior Vice President of Opera Apps Club. For more details, check Reliance Games Arcade app store. is this offer available to Aircel(ur new partner) and jio also ??? No, only for RCom currently. RCom has had this offer for at least one month, so I don’t know why the news is on today only. You basically sign up at the website, get the app, then you are charged a fixed rate of Rs. 15 for every 10 days and you can then download and play the games for free. Are there data charges applicable while downloading the game? The data used for downloading the game is deducted from existing data balance. If no balance then rates as per your tariff plan. If downloading via Wi-Fi then as per service provider.